Few things affect someone’s quality of life more than the ability to move safely on their own two feet. Yet each year, more than one in three seniors will experience a fall, and the risk increases with age. 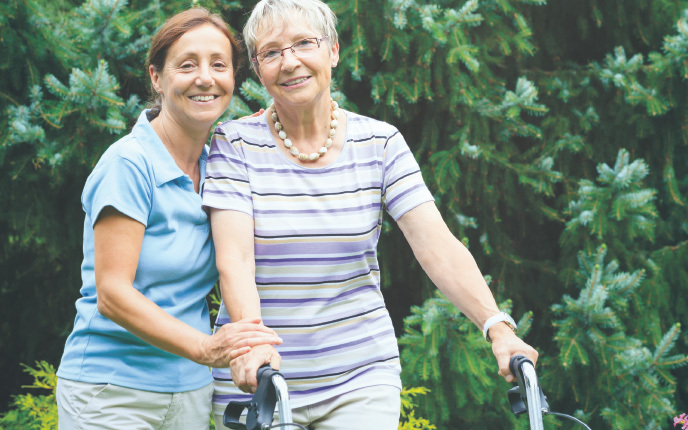 * Our On Balance Proactive Mobility Plan employs a proven plan of individualized assessment, goal-setting, physical therapy, and nursing care to help minimize the risk of falls, restore activity, monitor progress, and make life easier for patients and care-givers. Through standard skills tests and a customized plan of action, our therapists will assess each patient’s abilities and set them on the path to achieving their goals. Exploring the issues, inside and out. Certain conditions increase the risk of falls. If the patient has muscle weakness, dizziness, vision problems, osteoporosis, osteoarthritis, or other disorders, our therapists will address the symptoms to help reduce the risk. Our staff will also look at the total home situation to find environmental factors that can contribute to risk. Then we’ll recommend ways to improve home safety and minimize the chances of a dangerous fall. Paradigm is uniquely equipped to determine the patient’s fall risks and how to address them. 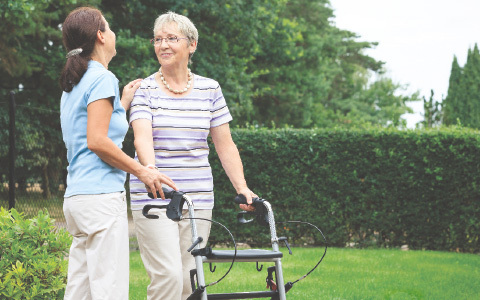 Simple assessments include functional reach, one-legged stand, sit-to-stand, and walking-distance measurements, as well as clinical gait and balance tests. Our therapists will check the patient’s posture, range of motion, and overall body strength. Neurologic screening will test for factors such as sensation and reflexes, all of which influence the patient’s ability to move about safely. They’ll repeat these assessments throughout the program to check for progress and decide when the plan should be adjusted or ended. Returning a patient to his or her greatest potential means combining proven assessment, treatment, and education by Paradigm’s experienced physical therapists and Registered Nurses (RNs). Our physical therapists instruct patients in strength exercises, balance and weight-shifting, stepping in several directions and on different surfaces, posture strengthening, and much more. Our RNs assess the patient’s medications and their effects, educate them on nutrition, hydration, and the effects of disease, and oversee their therapy and clinical appointments.